Portronics announces “SAGA and SAGA Mini” series of Virtual Reality Headsets with HD optical lenses. A unique viewing experience of 360 videos will immerse you in the virtual world of numerous 3D and VR games. The SAGA series of VR Headset has the HD optical lenses with 8 layer nano coating for prolonged high quality viewing. 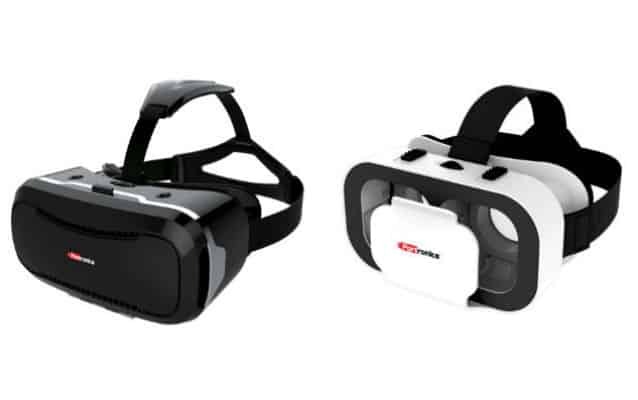 The SAGA series of VR Headset offers an unparalleled Field of View (FOV) with wide refraction range of -5000 to 2000 to let the users have the best VR immersion experience. These VRs have the adjustable pupil distance knob and adjustable object distance knob to cater to the requirements of all types of users. The phone holder in the Saga series VR can easily accommodate the mobile phones having screen sizes from 4.6 to 6.0 inches and is compatible with all Android and iOS phones. The Saga series VR headsets have the firm leather strap headbands to keep the device safely in place even during rigorous head movements. Also, the headband is adjustable to best fit different face types and head sizes in the entire family – from kids to grownups. The SAGA VR in the series has the dimension of 19 x 13 x 9 cm and the weight is 357 gms. The SAGA Mini in the series has the dimension of 15.6 x 10 x 8.8 cm and the weight is 158 gms. Portronics SAGA is priced at a very attractive price-point of INR 1299/- and the SAGA Mini is priced at INR 699/-.